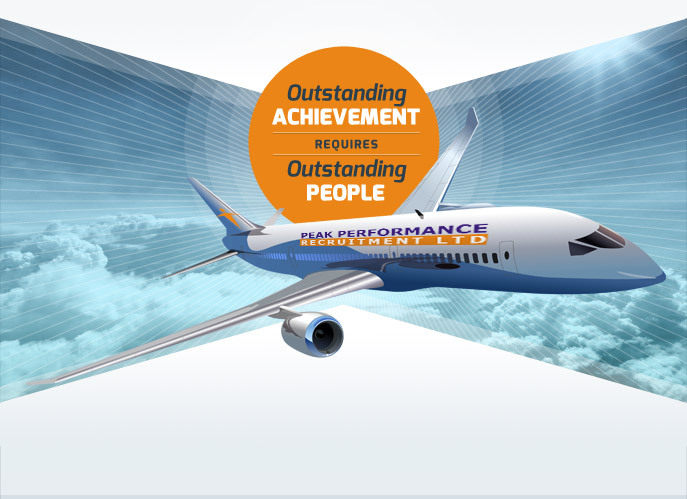 For the purpose of applicable data protection legislation (including but not limited to the General Data Protection Regulation (Regulation (EU) 2016/679) (the "GDPR"), the company responsible for your personal data is Peak Performance Recruitment Ltd in Ireland and Peak Performance Recruitment Aviation Ltd in the UK. To the extent that you access our website we will also collect certain data from you when you complete the information to get our Candidate Newsletter, Client Newsletter or apply for jobs. Information on the company which includes keeping notes and records of and related to our conversations, meetings, registered jobs and placements. Information relating to online engagement with candidate profiles which we use to ensure our marketing communications are relevant and timely. Information that someone in your organisation has chosen to share with us. Bank details – to pay for the services you provide. Information about their knowledge of a candidate or prospective member of staff, to help them secure the role they are being considered for. In addition, we have the emergency contact details of people provided by our staff. If you were referred to us through another candidate or client. From other limited sources and third parties (e.g. from our candidates to the extent that they provide us with your details to act as a referee for them). To the extent that you access our website or read or click on an email from us we may also collect your data automatically or through you providing it to us. Work with clients to source candidates who are an ideal fit for their organisation and to provide consultancy services such as salary benchmarking and role definition, which help clients identify their employment needs. The table below shows the main ways in which we process information and the legal basis for that processing. To help candidates find and secure their next ideal role. To help candidates in the recruitment process of interviewing and securing a role. Candidate CVs, Renumeration package, Qualifications for skills required for the role, Referees information and Information from clients. Consent – At the point in our recruitment process by which we request a copy of your CV, we will seek your consent which we will record on our database. To source candidates who are an ideal fit for our client’s organisations. Marketing – To inform candidates of roles that we are currently recruiting for. To inform clients of the calibre of clients that we have on our database. To inform candidates and clients of the conferences our company is attending. To provide relevant industry knowledge. Our marketing emails will provide an ‘unsubscribe’ button, where our candidates and clients can choose not to receive direct marketing emails via our marketing platform. The option not to receive marketing information will be recorded on our database. The processing of information which we have classed as a legitimate interest, we believe helps us offer you as client, candidate or supplier the best service possible. If you are looking for employment, or for employees, we think it is reasonable for us to collect personal data which will allow us to offer or provide our recruitment services. We also want to provide you with tailored job recommendations and relevant articles to read to help you on your job hunt. We therefore think it's reasonable for us to process your data to make sure that we send you the most appropriate content. Once we have progressed from the first few steps in the recruitment process of searching, identifying and matching skills, we will then move to a level of consent or contractual agreement. Candidates - It is important to us a company that you have control over who is receiving your information, therefore at the recruitment process stage where a CV is being forwarded to a client we will seek your consent. You need to take positive and affirmative action in giving us your consent – we're likely to provide a tick box for you to check so that this requirement is met in a clear and unambiguous fashion, which will subsequently be recorded on our database. Clients – We will ask clients to sign Terms of Business when we have been officially engaged on recruitment for a vacancy. Peak Performance Recruitment works with organisations who are located throughout the world. Therefore, the information we hold may be transferred to organisations outside of the EU. As per our Candidate Charter, your CV and information about you relating to a specific role will not be forwarded to a client without having first gained your permission, either verbally or by email. As a candidate you will therefore be aware of the company who is receiving your information and the jurisdiction in which they reside. Some of these jurisdictions require different levels of protection in respect of personal information, and in certain instances, the laws in those countries may be less protective than the jurisdiction you are typically resident in. We will take all reasonable steps to ensure that your personal information is only used in accordance with this Privacy Notice. Our terms of business, signed by our clients will reference our Privacy Notice and clearly state the obligations under GDPR, which our company abides by and which our clients need to be aware of when processing candidate’s information. We employ third party companies to process personal information for business functions, including cloud hosting, recruitment specific database, legal, accounting and marketing. We only provide these companies with the information they need to be able to perform their services. Marketing – we use an online marketing platform, which adheres to the regulations set out in the General Data Protection Laws. If Peak Performance Recruitment merges with or is acquired by another company in the future, we may share your personal data with the prospective owner of the business. We have implemented a range of measures at an Organisational, Technical and Staff level to protect the personal information which is held by our Company. The details of which are set out in the Company’s Information Protection Policy. One of the GDPR's main objectives is to protect and clarify the rights of EU citizens and individuals in the EU with regards to data privacy. This means that you retain various rights in respect of your data, even once you have given it to us. There rights are outlined below. Right to object: If we are using your data because we deem it necessary for our legitimate interests to do so, and you do not agree, you have the right to object. This right enables you to object to us processing your personal data where we do so for one of the following four reasons: (i) our legitimate interests; (ii) to enable us to perform a task in the public interest or exercise official authority; (iii) to send you direct marketing materials; and (iv) for scientific, historical, research, or statistical purposes. Data Subject Access Requests (DSAR): You have the right to ask us to confirm what information we hold about you at any time and you may ask us to modify, update or delete such information. If we provide you with access to the information we hold about you, we will not charge you for this, unless your request is "manifestly unfounded or excessive". If you request further copies of this information from us, we may charge you a reasonable administrative cost where legally permissible. If you would like to exercise any of these rights or withdraw your consent to the processing of your personal data (where consent is our legal basis for processing your personal data) please contact: oonagh@aircraftleasing.ie. Please note that we may keep a record of your communications to help us resolve any issues which you raise. Annex 1 – How to Contact Us? How you can get in touch with us to update your marketing preferences? By clicking the unsubscribe link in any marketing e-mail we send to you. Annex 2 – How to Contact your local supervisory authority? Ireland: The Office of the Data Protection Commissioner. Clients - covers our customers, clients, and others to whom Peak Performance Recruitment provides services in the course of its business. General Data Protection Regulation (GDPR) – a European Union statutory instrument which aims to harmonise European data protection laws. It has an effective date of 25 May 2018. Staff – includes employees and interns engaged directly in the business of Peak Performance Recruitment (or who have accepted an offer to be engaged) as well as certain other workers engaged in the business of providing services to Peak Performance Recruitment (even though they are not classed as employees). Website Users - any individual who accesses any of our websites.